Finals week is here! Whether it’s your first semester or your last, finals week can be a challenge. Here’s our take on how to minimize the stress and anxiety it might bring. Is your finals week full of exams, or are you going to be spending the next few days writing papers? It could be that you’ve got loads of online homework assignments to finish up, or maybe you’ve got a mix of things to do. No matter what your schedule looks like, the best way to prepare is to create a plan that helps you prioritize your time. Creating a plan keeps you focused on the exams and deadlines that are coming up first. The better you plan and the more you stick to your plan, the less likely you are to begin feeling overwhelmed. Preparing for exams means you’re going to have to study, but studying doesn’t just involve putting your nose in a book and hoping something will stick. Everyone studies differently. Some prefer complete quiet, others enjoy listening to music, and many people benefit from studying in a group. If you find yourself distracted by a lot of noise and need to focus on tomorrow’s exam or the paper that’s due at midnight, you may want to try to find a quiet place on campus that will allow you to be productive. The newly renovated 5th floor of the Library has some pretty awesome study pods, but if those are all taken up, you may be able to find a spot in the Marshall Student Center or your residence hall. If you commute to campus, check out your local coffee shop for a cozy spot that’s already stocked with caffeine. Need to focus? Try listening to a playlist of instrumental music. Research has shown that listening to music while studying can help you memorize the information. There is one caveat; if you’re trying to memorize things in order, say, the steps in photosynthesis, then listening to music might hinder your ability to recall the steps in the correct order. If you can’t listen to music, or if music is hurting your chances of remembering something later, there are plenty of other ways to study creatively. You can use colored pens, markers, and highlighters to make memorizing information more engaging and fun. Mnemonic devices – patterns of letters or ideas – are another common way of helping you remember things. For example, PEMDAS is a mnemonic acronym for the order of operations in math, and the phrase “My Very Educated Mother Just Served Us Nine Pizzas” helps us remember the order of the planets in our solar system. If you benefit from learning in a group setting, consider stopping by the Academic Success Center for Tutoring, or see if your class will have a study session as part of the Marshall Study Center finals week events. If those options don’t work for you, try posting in the discussion section of your Canvas course or on your class Facebook page to see if some of your classmates would like to get together. As you create your finals week plan, be sure to build in time for breaks. Breaks allow your mind to process information and recharge, and can help you if you’re feeling stuck while trying to write. If you make time for your breaks, you’ll be more likely to stick to your plan and you’ll always know how much longer you’ve got to stay focused! When you take a break, consider going for a walk or exercising at the Rec Center, cooking a hot meal, watching a show or movie with your friends, or checking out one of USF’s many finals week Wellness Activities. Do something that makes you happy and reward yourself for your productivity! Once your break is over, you’ll be ready to knock out more studying! Are you graduating? After you ace your finals, come back here to see how we’ll help you walk across the stage and into your career. Welcome once again! We’re wrapping up our Become the Master of Your Career series today with Part 4. You can revisit Part 1, Part 2, and Part 3 if you need a refresher. Don’t forget, our Career Readiness Badging Program allows you to become the master of your career by helping you make meaningful connections between your experiences here at USF and your life after graduation! You’re now well on your way to understanding what it takes to become a master, so you may want to consider signing up for one of our Career Readiness Badging Orientations. We only have a few orientation sessions left this semester, but we’ll be back with more in the Spring! Now, let’s talk about the last two essential skills you need to become career ready: Critical Thinking and Global Citizenship! You use critical thinking skills every day when you do things like driving your car or choosing courses to fit your schedule. But when you want to show future employers that you’ve mastered the Critical Thinking essential skill, you’re not going to simply flash your driver’s license as proof. Whereas most of the other essential skills have some kind of tangible manifestation, Critical Thinking is very cerebral. Master Critical Thinkers are able to obtain, interpret, and use knowledge, facts, and data to analyze issues, make decisions, and overcome problems. While you may have some type of final product, like a research paper, the original and creative thought process you use to get there isn’t always immediately understood by others. This can make talking about this skill to future employers a little difficult. Through the Career Readiness Badging Program, we make having conversations about your mastery of the Critical Thinking essential skill easier. We’ve given you a few ideas about where you can learn this skill, like math courses, research workshops, and conferences related to your major or future career field. We have also partnered with offices across campus, like the Office of Undergraduate Research, to make sure that there are opportunities for you to get experience using this skill that you can put on your resume. One you’ve gotten some experience, we’ll help you discover ways that you can talk to employers about this essential skill with a sample interview question. USF is proud to be home to an incredibly diverse population of students, staff, and faculty that represent more than 125 countries! We’re nationally recognized as an institution that embraces its diversity and offers a variety of global opportunities to its students. If you remember back to Part 1 of our series, we talked about NACE, the National Association of Colleges and Employers, and how they created the eight essential skills we’ve been talking about. Global Citizenship, the final essential skill we’ll discuss in our series, was just added to NACE’s list in January 2017. Its addition speaks to the importance of employees who are masters of Global Citizenship within our increasingly global economy. Masters of the Global Citizenship essential skill value, respect, and learn from diverse cultures, races, ages, genders, sexual orientations, religions, and viewpoints. They are also open, inclusive, and sensitive, and are able to interact respectfully with all people. Because USF is so diverse, there are tons of offices (like the Global Citizen Project) and student organizations (like the Latin American Student Association) on campus for you to get involved with. In fact, USF is home to 43 multicultural student organizations! You can find them all and learn how to get involved on BullSync. As you start to learn about the Global Citizenship essential skill, find ways to get experience that is related to your major or future career field. Global Citizenship impacts every industry in some way, and even if the company you eventually work for only has domestic offices, you’ll still come into contact with people who have different backgrounds than you. Try doing some research into companies within your field of interest and see how they’re impacting their local and global community for ideas on where you can get experience and become a master of Global Citizenship! We’ve spent the last couple of weeks telling you a little bit about each of the eight essential skills in our Career Readiness Badging Program, but there is so much more that you can learn! If you’re ready to become the master of your career, join us for one of our upcoming orientation sessions. We only have a few dates left this fall semester, but we’ll have a full schedule again in the Spring! Welcome to Part 3 of our Become the Master of Your Career series! If you’ve missed our last two blogs, you can catch up with Part 1 here and Part 2 here. If you’re already on your way to becoming a master, awesome! 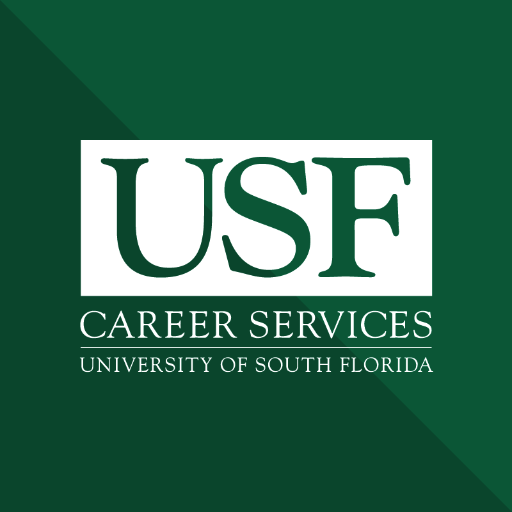 Don’t forget, our Career Readiness Badging Program allows you to become the master of your career by helping you make meaningful connections between your experiences here at USF and your life after graduation! Today, we’re going to cover two more of the essential skills you need to become career ready: Leadership and Teamwork! When you think about good leaders, who immediately comes to mind? What kind of traits do these people tend to have, and how do they interact with those that they are leading? Being a good leader comes down to more than just a line on a resume. Masters of the Leadership essential skill work with the strengths of the people within their group and leverage each of these strengths to achieve common goals. They show empathy as they guide and motivate their team, and they’re able to use their interpersonal skills to coach and develop others so that their group grows together. While some of the people you may look up to as leaders are politicians, CEOs, and well-known scientists, there are leaders all around you, and there are many opportunities for you to test your own leadership skills across campus. Getting involved in a leadership role in a student organization may be the most obvious way to build this essential skill, but you can also define yourself as a master leader in the classroom and as a student employee. The next time your professor assigns group work, focus on how you can encourage your group to actively participate in the work and help divide the tasks evenly based on the strengths of the team members. If you work on campus, talk to your supervisor about projects that they may want to do but don’t have time to do themselves, and ask them if you can work on it. Teamwork is an essential skill for just about every job and career field out there. Even if you plan on working for yourself, or in a role where you don’t interact with many people on a day-to-day basis, understanding this essential skill can help you at times when you do work with clients or colleagues. Masters of the Teamwork essential skill are able to build collaborative relationships with people representing diverse cultures, races, ages, genders, religions, and viewpoints. Teamwork and Leadership go hand in hand, but you don’t have to be the group leader to work well in a team structure. Those who have mastered Teamwork can negotiate with their teammates and can manage conflict among the members of the group in order to work toward common goals. At USF, the ways in which you can build your Teamwork skills are endless. Opportunities to work in a team setting can be found in the classroom, in students organizations, on intramural or collegiate sports teams, and in student employment roles. Six essential skills down and only two more to go! Join us next time for Become the Master of Your Career – Part 4 to learn how you can master Critical Thinking and Global Citizenship! If you’re ready to become career ready, consider joining us for one of our upcoming orientation sessions. Welcome back! In our last blog, we introduced our Career Readiness Badging Program and two of its essential skills that you can earn your badge in: Professionalism and Career Management. If you haven’t read it yet, you can catch up on those two skills here. Today we’re going to focus on two more of the essential skills you need to become career ready: Communications and Technology! This essential skill refers to both written and oral communications, like email, talking on the phone, memos, and face-to-face conversations. Communications involves the ability to clearly and effectively articulate your thoughts and ideas to another person. That may not seem too difficult, but master communicators know that a conversation depends not only on their own abilities, but also on how familiar their audience is with the topic. For example, let’s say you’re working as a sales associate at an outdoor recreation store, and a customer who has never gone camping before comes up to you and asks you to explain the difference between two seemingly identical tents. The conversation that you have with this customer would be pretty different from the conversation you’d have with an experienced camper, but you’d be expected to be able to switch between both types of conversations in order to make sales goals for your store. In order to master this essential skill, you’ll need to use your experiences in the classroom, on the job, and in your extracurricular activities to show how you can communicate with people familiar with the career field you want to go into and the customers you serve who may not be as familiar with the technical terms you use. No matter what career you might be thinking about pursuing, you’re probably going to use technology in your role. Mastering the Technology essential skill doesn’t mean that you have to be familiar with every single piece of existing software in the world – that would be impossible! Rather, being a master means that you’re able to adapt to new and emerging technologies and that you can use them to solve problems, complete tasks, and accomplish goals. The best way to be able to understand how different technologies work and can be used is to start using them! Do a little bit of research to find out what kind of technology might be used in your career field or industry, and then start familiarizing yourself with them. As a USF student, you have free access to Lynda.com through IT Services. Lynda.com offers online videos with courses and training programs for just about everything imaginable, and you can login easily through MyUSF. The USF Tampa Libraries Digital Media Commons also offers opportunities to learn about some Adobe Creative Cloud products, like Photoshop, Illustrator, and InDesign. You can find their list of workshops and get information about their Digital Media Creation Badging Program on their website. We’ve introduced you to four of the essential skills you should master in order to be career ready! Look out for our next blog post where we focus on two more of the skills: Teamwork and Leadership! As a college student, your daily grind probably includes classes, student organizations, sports, jobs and internships, and sleep! How are you supposed to squeeze in time to get ready for life after graduation? Psst. Guess what? You already are! USF prepares its students for their future careers in a number of ways, and for each student, that journey is a unique combination of their individual experiences. What we’ve noticed in Career Services is that while our students have some fantastic ways of becoming “career ready,” they may not know how to connect those experiences in ways that will be meaningful to the employers who want to recruit them. So, how can we help you speak the language of campus recruiters? That’s easy. In our new Career Readiness Badging Program, you’ll learn about the eight essential skills employers are looking for, what you need to do to develop these skills, and how you can show employers that you are a master of your career! How do we know what employers are looking for? NACE, the National Association of Colleges and Employers, surveys employers around the country to find out what skills they say are essential for any incoming hire to have. What are these skills? Let’s take a closer look at two of them today. What does being a “professional” mean? It probably depends on the job, right? Sure. Different industries have different ways of interpreting what it means to be a professional, but they all have some common themes that you can master while at USF. Masters of professionalism are productive workers, arrive early or on-time for their shifts and to meetings, are humble about their achievements, and own up to and learn from their mistakes. They also act responsibly, which goes beyond simply meeting deadlines. By exceeding expectations and acting with the interests of the larger community in mind, those with professionalism skills become valuable assets for a company. Through the Career Readiness Badging Program, you can demonstrate that you’ve learned about the professional essential skill in your coursework, through online learning programs (like Lynda.com), or through workshops or training programs. Those who have mastered career management have a pretty good idea about their career goals. They know their strengths, can talk about their experiences, and have built the skills and knowledge they will need to succeed in their future career. They know how and where to search for jobs related to their field, and they can advocate for themselves for promotions and raises in the workplace. Through the Career Readiness Badging Program, you can demonstrate that you’ve learned about the career management essential skill in your coursework, through online learning programs (like Lynda.com), or through workshops or training programs. In order to earn the badge for this essential skill, you’ll need to meet with a Career Consultant in our office. They can help you become a master of career management by working with you to talk about all of your other skills and experiences that are beneficial to the jobs you want to apply for. Professionalism and Career Management are just two of the essential skills you’ll need to become a master of your career. Look for our next blog post to discuss two more skills you’ll need: Communications and Technology!